The Audi A4 now features a new 2.0-litre engine that features an innovative combustion method to deliver additional fuel economy. In a bid to deliver a combination of performance and added efficiency, Audi has launched a new variant of the A4 - the 2.0 TFSI S tronic. Wait, isn't there already an A4 2.0? You're not wrong there. 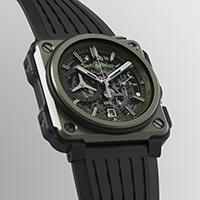 However, this one is different. Hear us out. 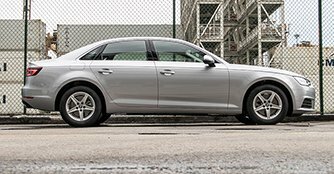 The Audi A4 2.0 that we previously drove, launched in 2016, is a quattro all-wheel drive model with a 2.0-litre engine producing 252bhp and 370Nm of torque. This 2.0-litre engine is different. Dubbed the 'ultra', it's a 2.0-litre that produces 188bhp and 320Nm of torque. The big difference is that it features an innovative combustion method, what Audi calls the 'B-cycle process'. 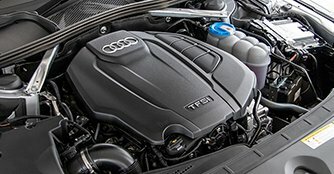 Due to the shortened compression phase during partial load, the compression ratio is increased, meaning that the engine only has to compress as much gas as a 1.4-litre TFSI engine. Effective, what this is trying to do is to simulate a 1.4-litre engine under partial load (the engine which this model replaces in the lineup). So it's a 1.4 replacement? Well, you could sort of say that. This engine wants to deliver the best of both worlds - the efficiency of a 1.4-litre engine under partial load, together with the punch of a 2.0-litre engine when you need maximum gusto. In reality, it falls somewhere in between the two. You definitely don't get the off-the-line punch of the more potent quattro variant, but it's still no slouch, this car. With 188bhp and 320Nm on tap, acceleration is amply quick. Where you do stand to gain is in fuel economy - driven reasonably, with the occasional hoon, we managed to achieve 13.2km/L in this A4. 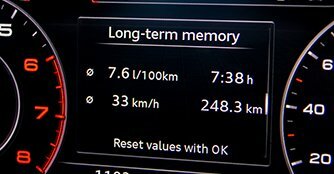 To put that into some context, that's not far off from what we managed in the Hyundai i30 (13.5km/L), which packs a turbocharged 1.4-litre engine. That said, this car drives rather different from the quattro variant. As it's 105kg lighter, it feels more nimble and agile, especially when you turn into a couple of corners. And the rest of the car? The rest of the car is pretty much the same, carrying over most of the same equipment and specification of the outgoing 1.4 model. Inside, you can expect the typical sleek and modern aesthetic. The only real complaint you could have is the almost comically small 16-inch rims, combined with super thick tyres. The sole reason for this is to reduce emissions to allow this car to fall under the B banding, thus incurring no VES surcharge. So is this the pick of the range? Easily, we think. For $176,980 (as of 30th May), you're certainly getting a lot of car for your money. It's hard to really justify paying $76,100 more for the quattro variant - you don't need the extra power, the two extra driven wheels. 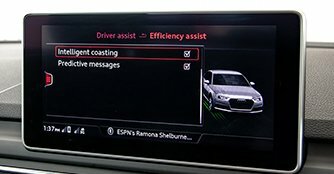 While the quattro variant packs a lot more autonomous tech, you don't really need them, too. And if you really wanted, you could spec that into this car, anyway. This A4 makes a ton of sense. It's got all of the comfort, practicality and technology you want from an Audi, whilst delivering improved fuel economy without greatly compromising performance. What's not to like?